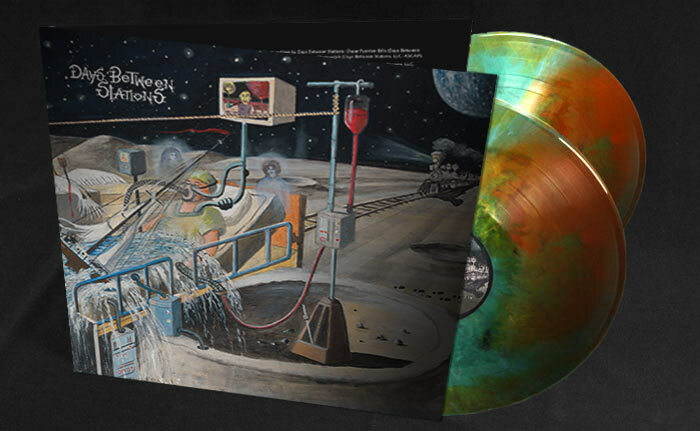 Los Angeles, CA – Much to the excitement of vinyl enthusiasts around the globe, prog duo Days Between Stations have released their critically acclaimed new album ‘In Extremis’ on a limited edition DBL LP! 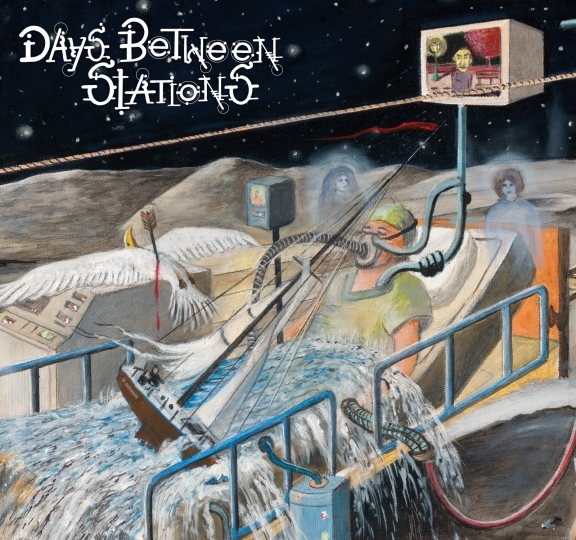 Possibly the most anticipated prog release of 2013, Days Between Stations’ sophomore album ‘In Extremis’ was released on May 15, 2013. 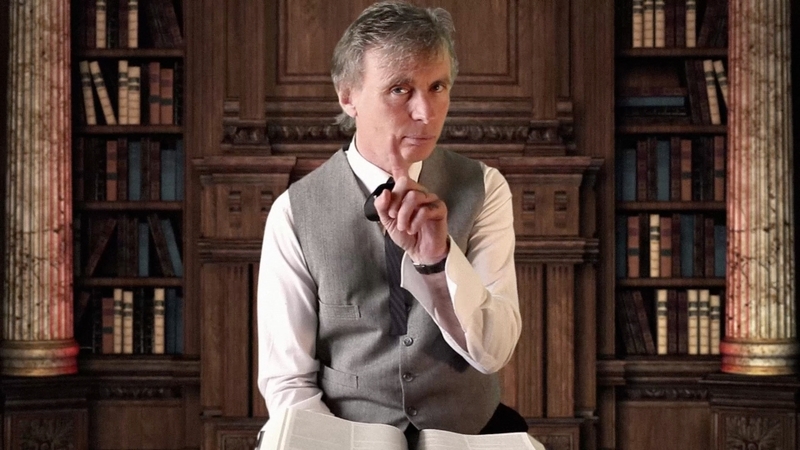 Boasting an incredible guest line-up of music legends featuring Colin Moulding (XTC), Rick Wakeman (YES), Peter Banks (YES/Flash) Tony Levin (King Crimson/Peter Gabriel) and Billy Sherwood (YES/CIRCA:), Days Between Stations reached a new level of creative artistry on their second release. Founded in 2003 by guitarist Sepand Samzadeh and keyboardist Oscar Fuentes, the duo named themselves after the cult novel by Steve Erickson and have devoted themselves to, as they say, Art Rock and Post Prog – music that reflects their varied influences, as well as shared disregard for stylistic boundaries. This eclecticism continues apace on ‘In Extremis’. At times the music recalls Peter Gabriel or ‘Duke’-era Genesis (as on the propulsive “Visionary”, which features Sherwood’s multi-layered vocals and Levin’s driving Stick bass work), or an ambient marriage between Pink Floyd and Lisa Gerrard and Debussy (“In Utero”), or even a cross between Ultravox and Marillion and ‘Abacab’-era Genesis (the Moulding-sung “The Man Who Dies Two Times”). Los Angeles, CA – Possibly the most anticipated prog release of 2013 will be released on May 15 – the sophomore album by celebrated LA prog duo Days Between Stations titled ‘In Extremis’. Boasting an incredible guest line-up of music legends featuring Colin Moulding (XTC), Rick Wakeman (YES), Peter Banks (YES/Flash) Tony Levin (King Crimson/Peter Gabriel) and Billy Sherwood (YES/CIRCA:), Days Between Stations reach a new level of creative artistry on their new album. With a title like ‘In Extremis’ (Latin, In extremity – A term used in reference to the last illness prior to death) one can begin to understand the intensity and sepulchral mood of the musical direction. Veteran engineer William Kaylor (Fleetwood Mac, Ray Charles, Michael Jackson) was also recruited to the project in order to improve the sound quality of the recordings. Once again, Grammy Award winner Evren Göknar, from Capitol Mastering, joins Days Between Stations to master ‘In Extremis’.